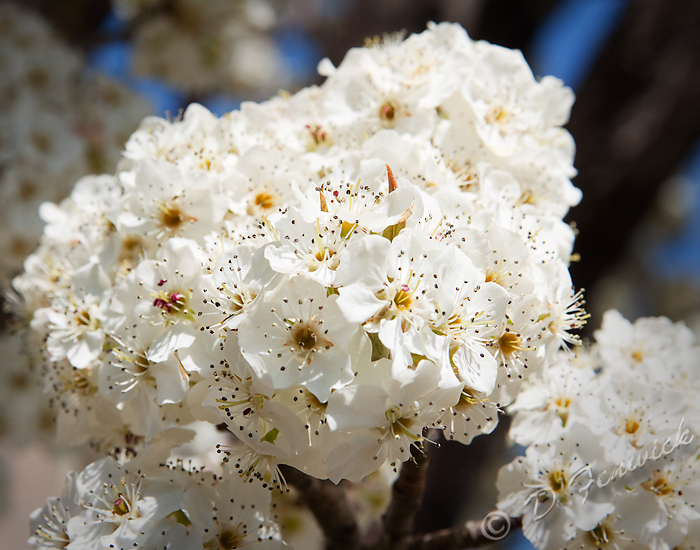 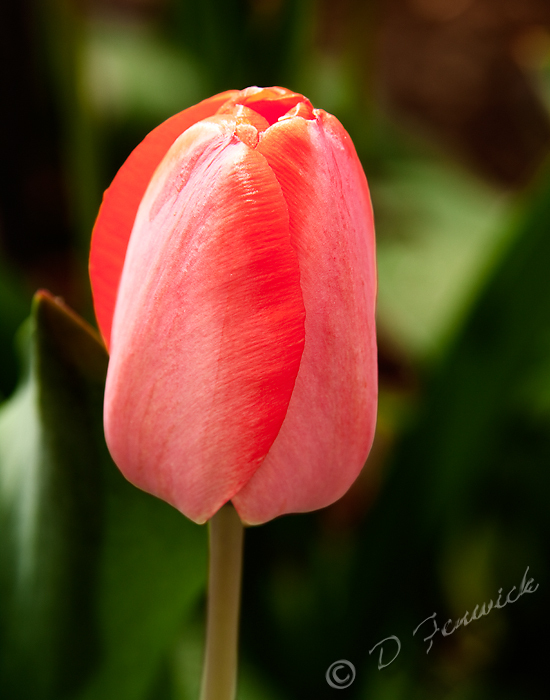 Today I’m going to show you some of the images I’ve taken just walking around the last week or two. 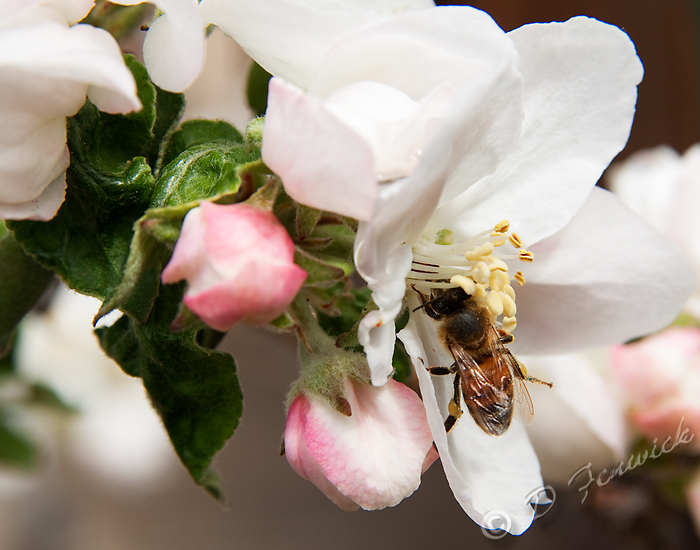 I usually keep my camera with me which gives me the chance to make images when I see something that catches my eye. 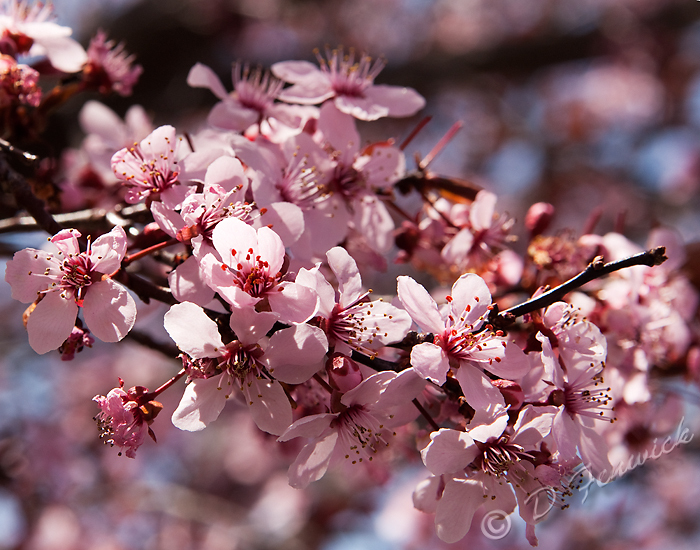 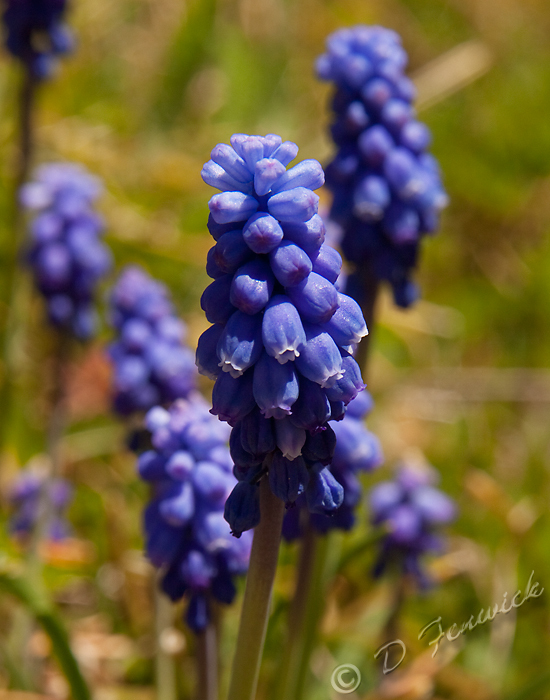 The flower images below are from my backyard, and also from the University of Nevada, Reno’s campus. 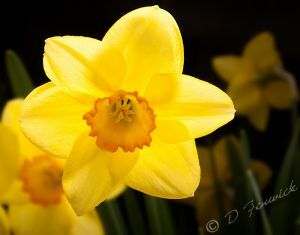 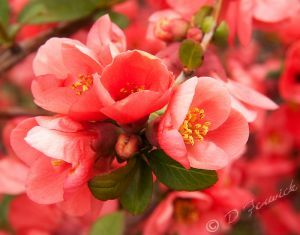 Campuses are a great place to find photo opportunities, the grounds are well groomed, lots of flowers and other areas that would make for great images. Unfortunately for us in Nevada, the budget shortfalls are showing and the best growing plants on campus are the dandelions. 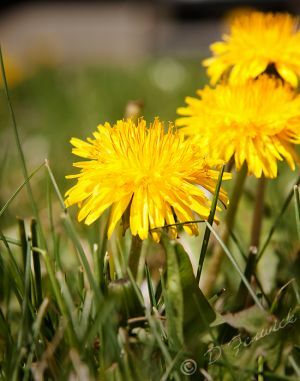 Somehow, I don’t expect that to change much over the next couple of years, but weeds are beautiful if seen from the right angle. 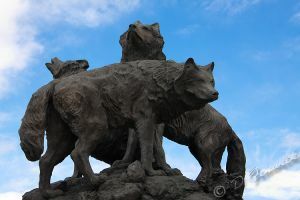 This photograph is a statue at the entrance to the football stadium. I managed to get the only patch of blue sky visible anywhere right behind it when I took this photograph. 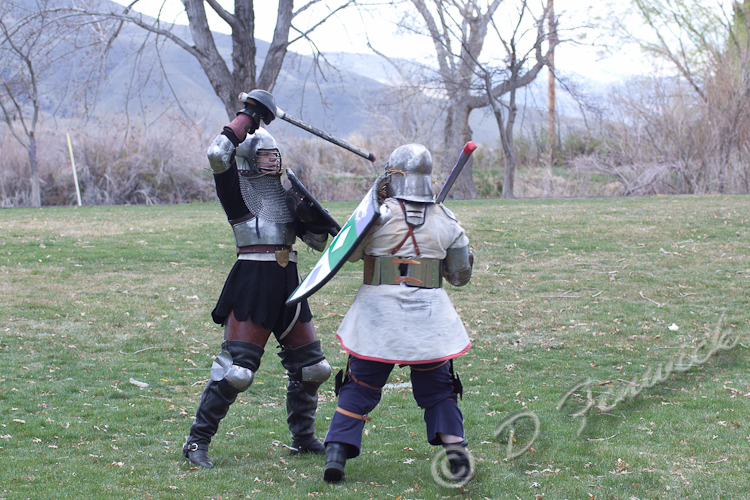 The rest of the sky was everything from thin white clouds to dark grey clouds. It was windy and cold, too. 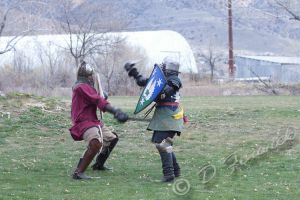 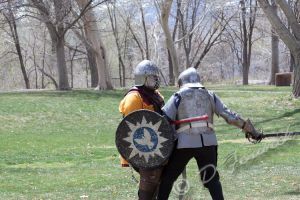 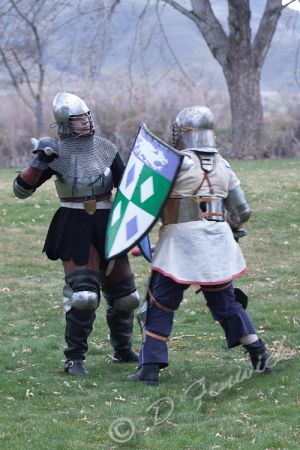 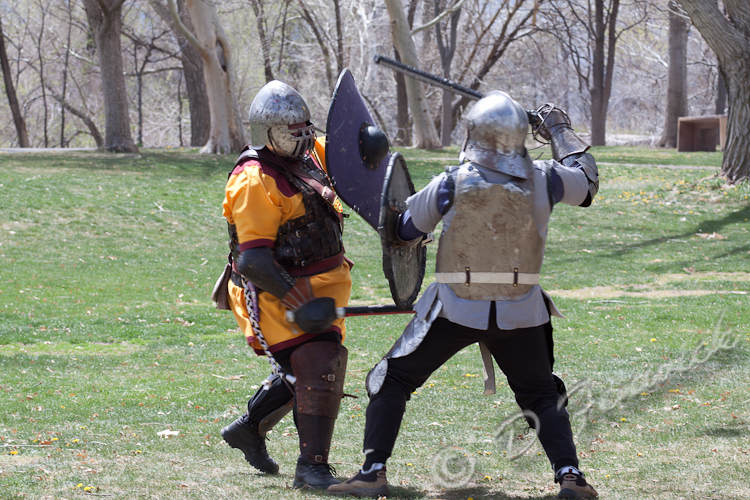 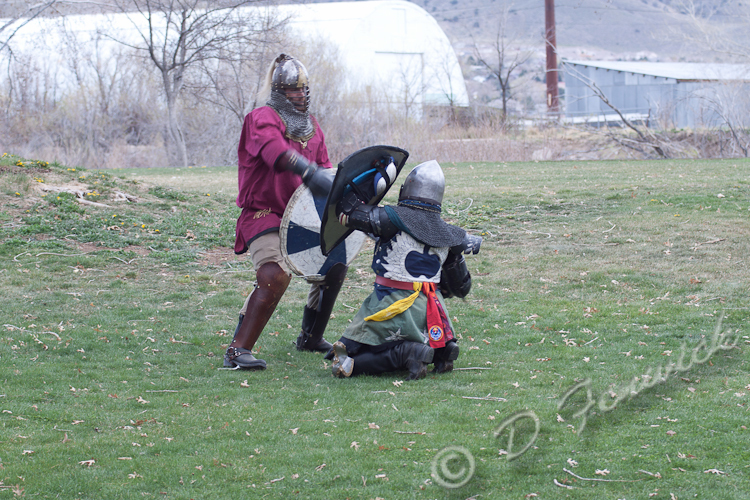 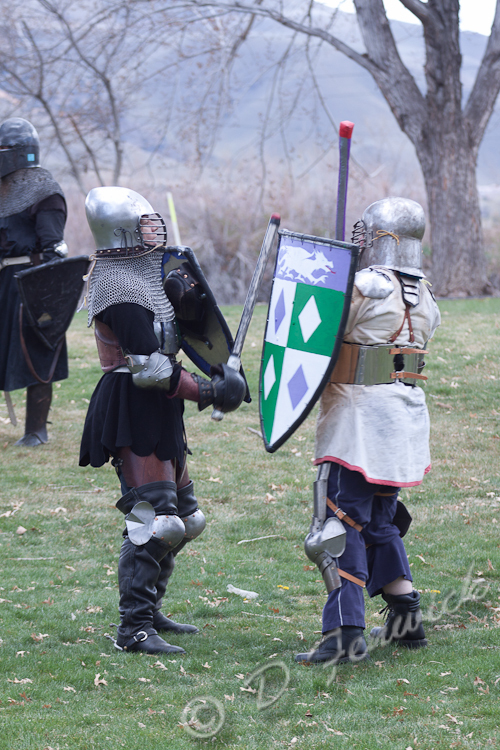 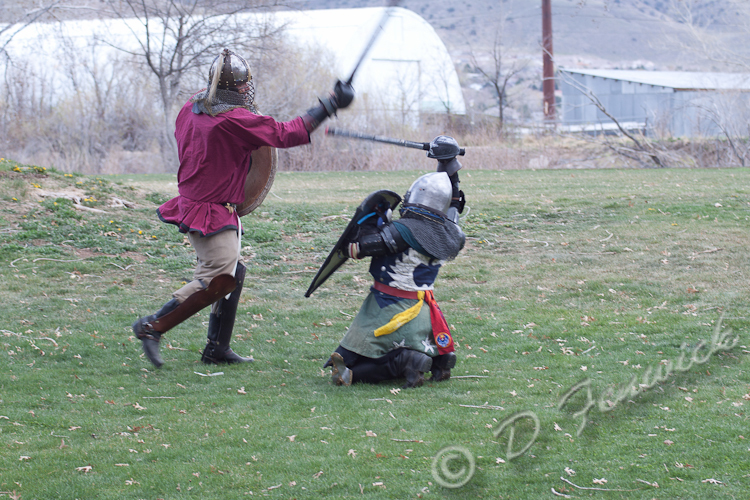 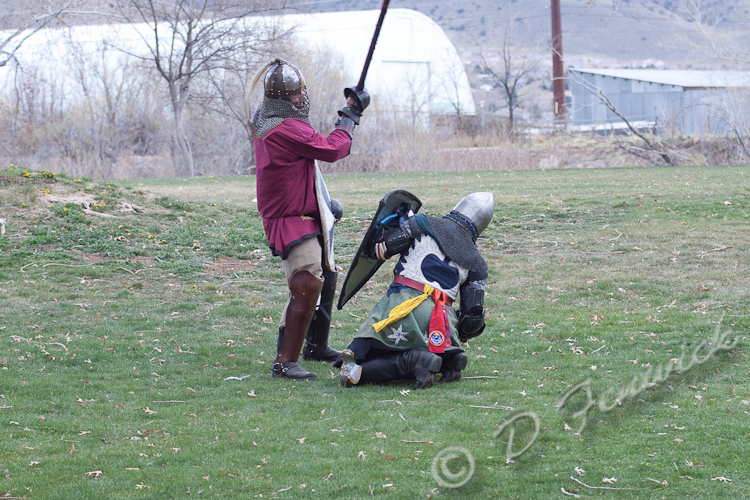 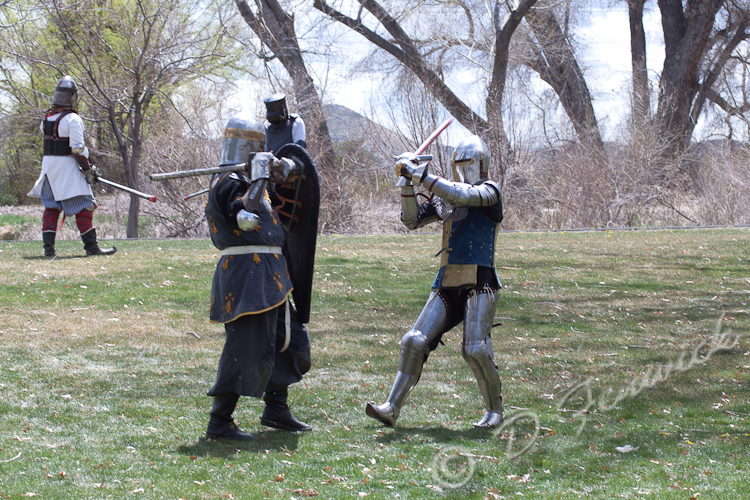 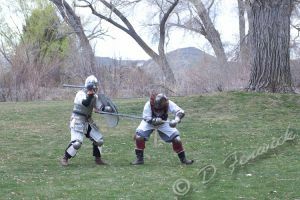 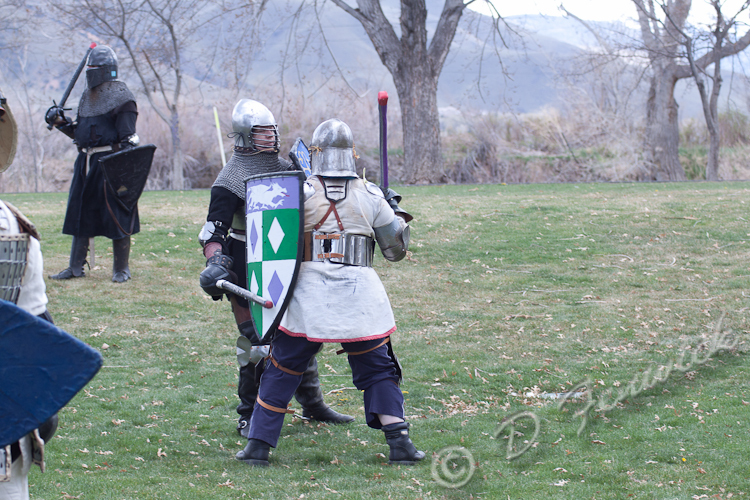 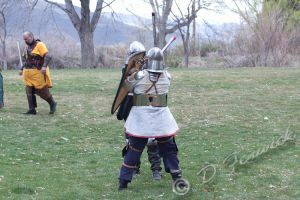 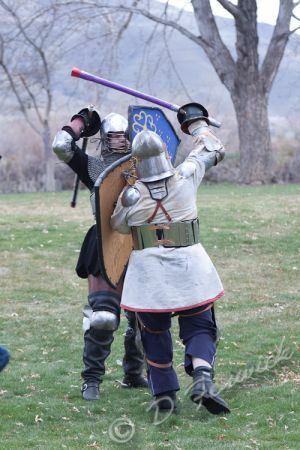 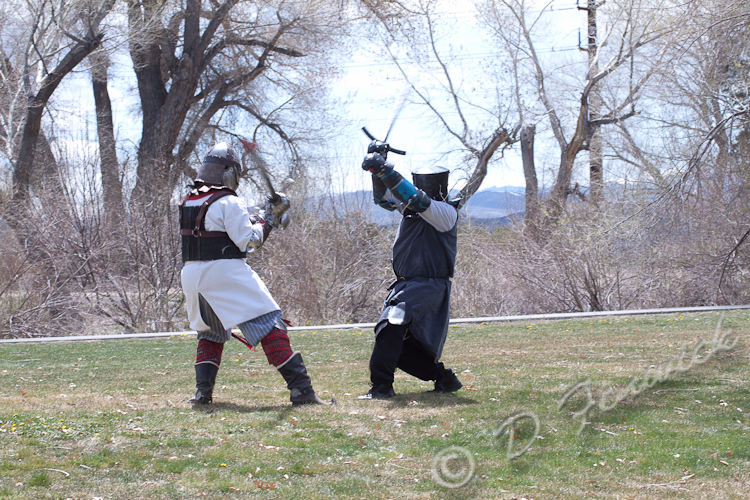 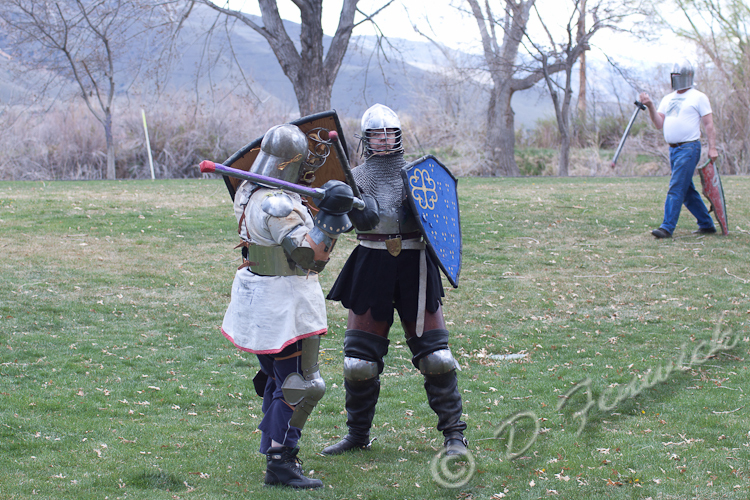 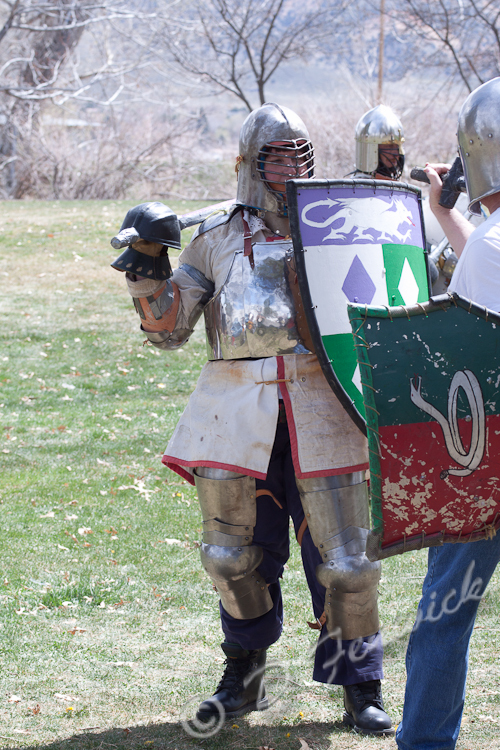 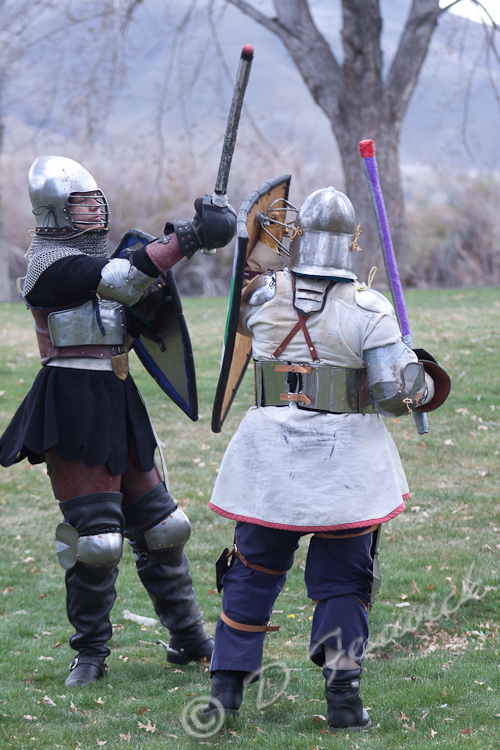 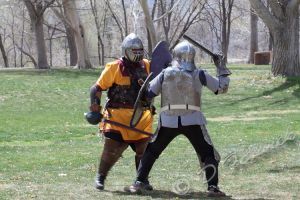 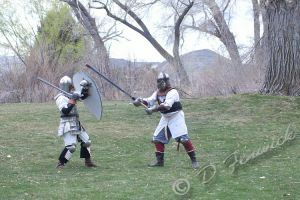 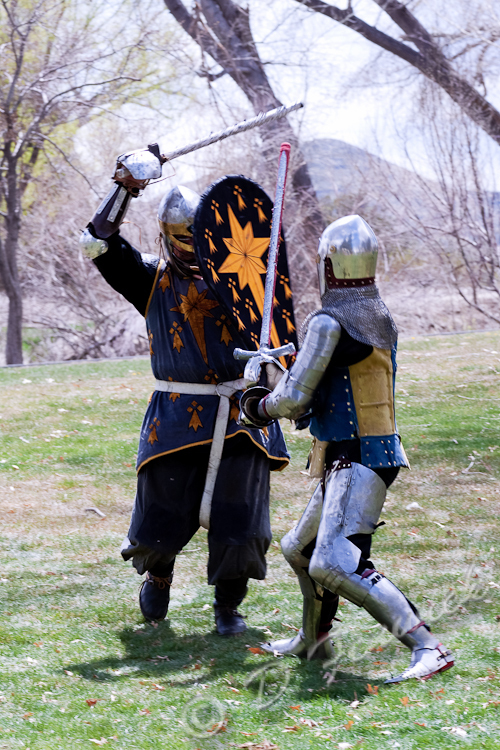 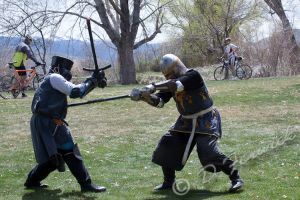 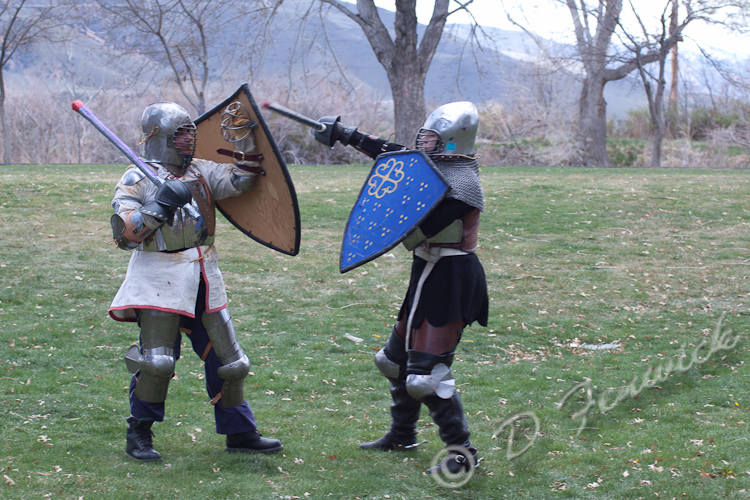 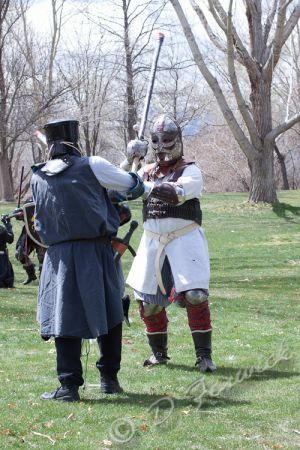 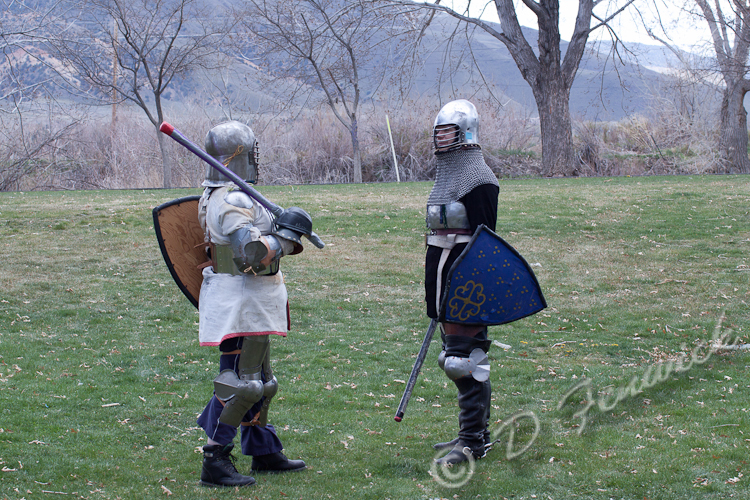 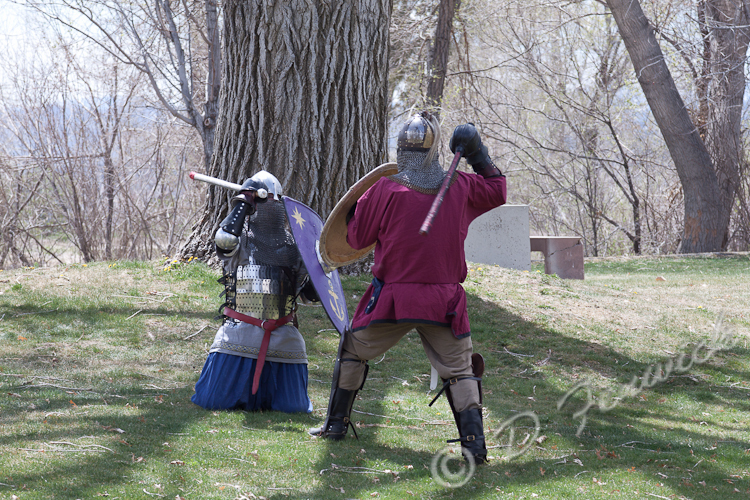 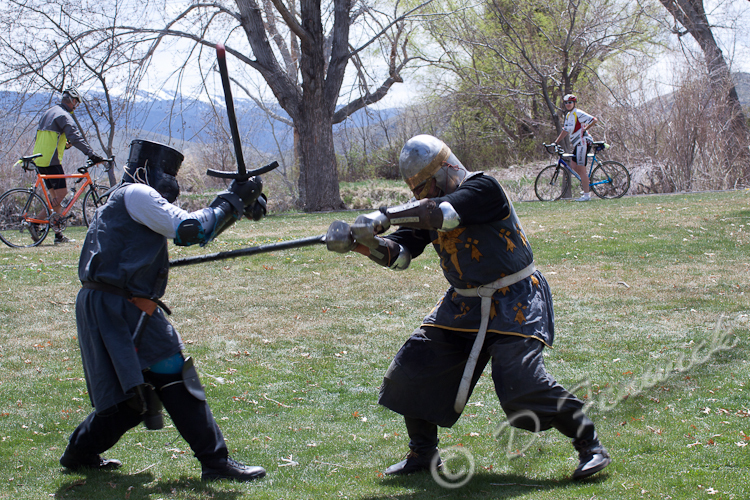 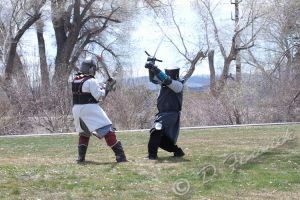 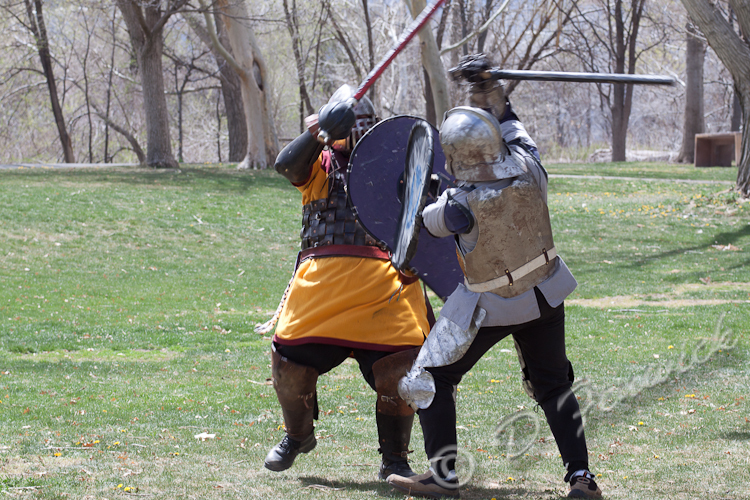 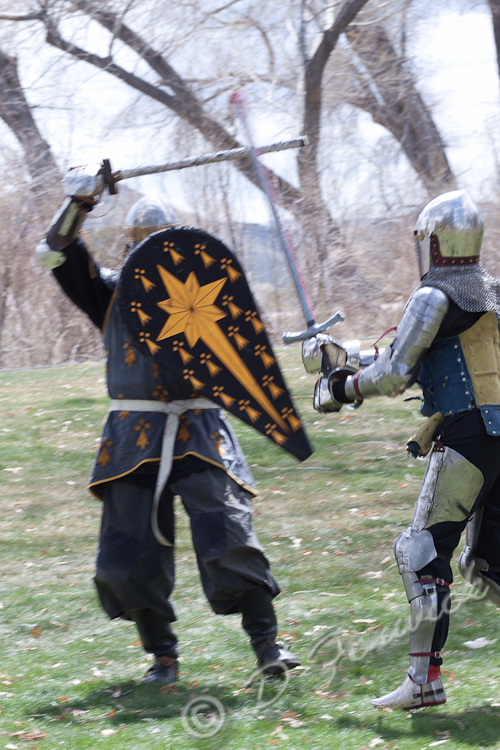 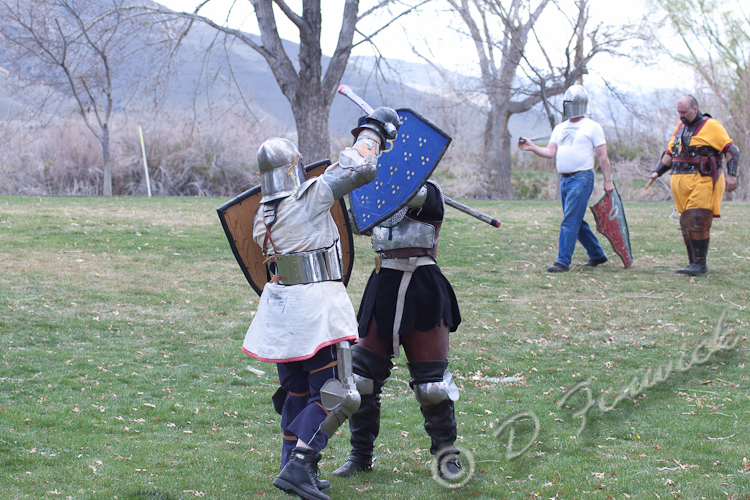 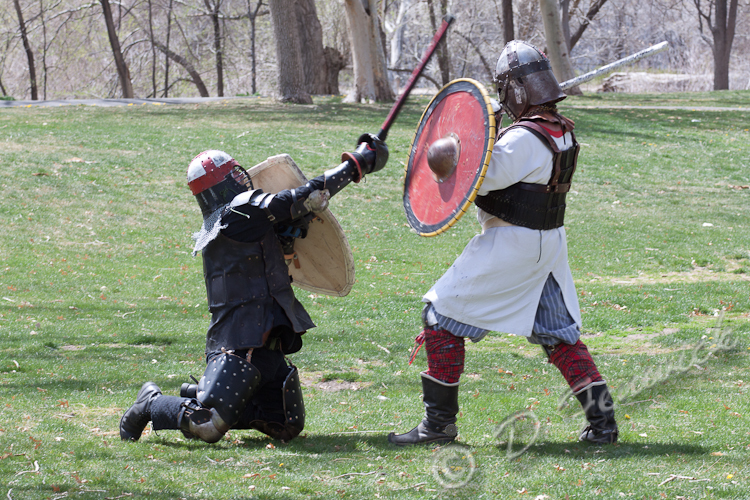 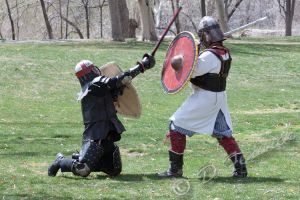 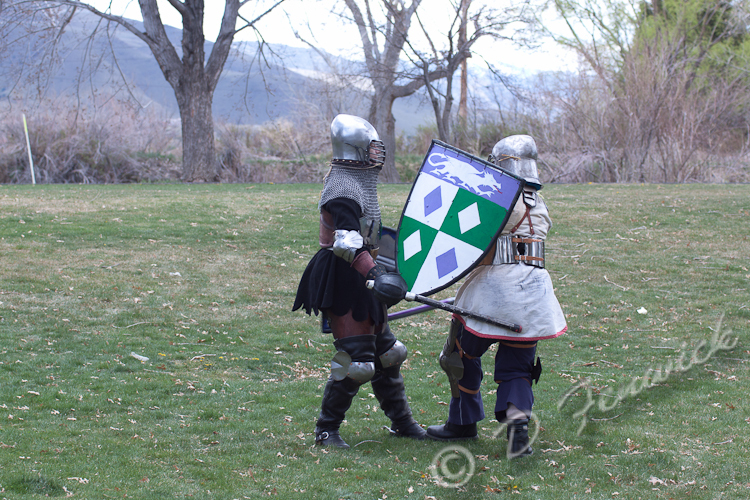 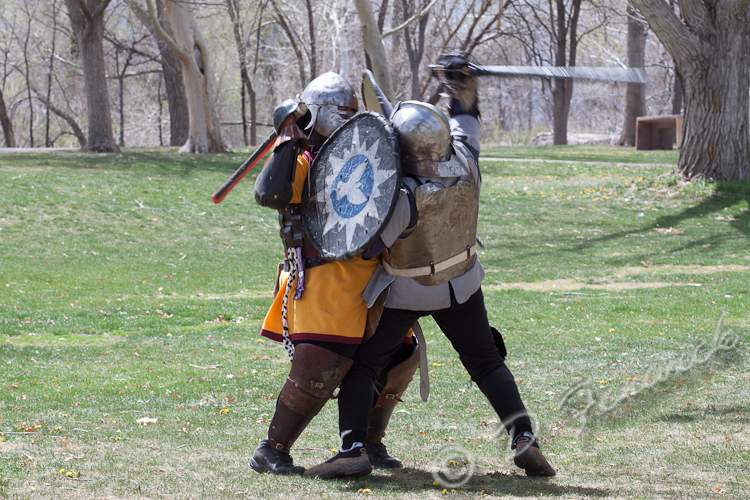 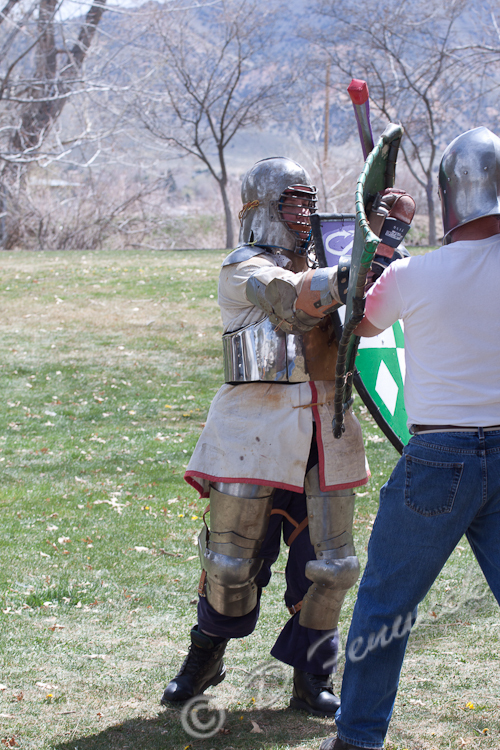 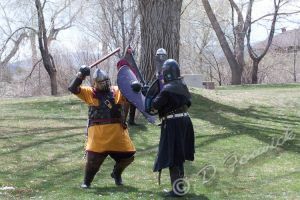 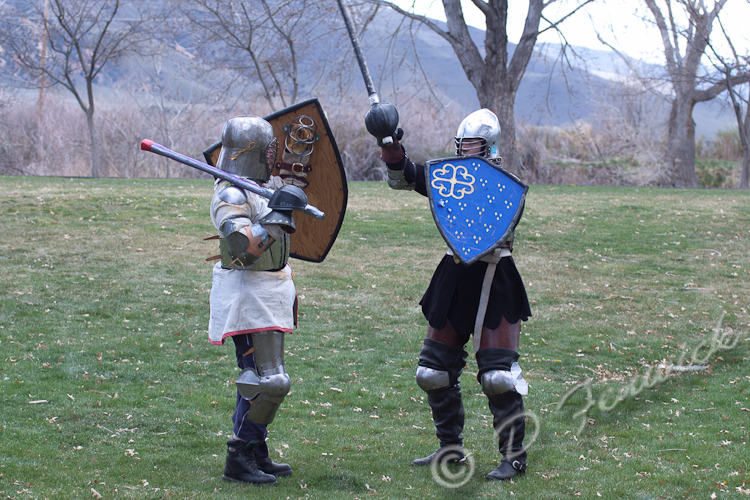 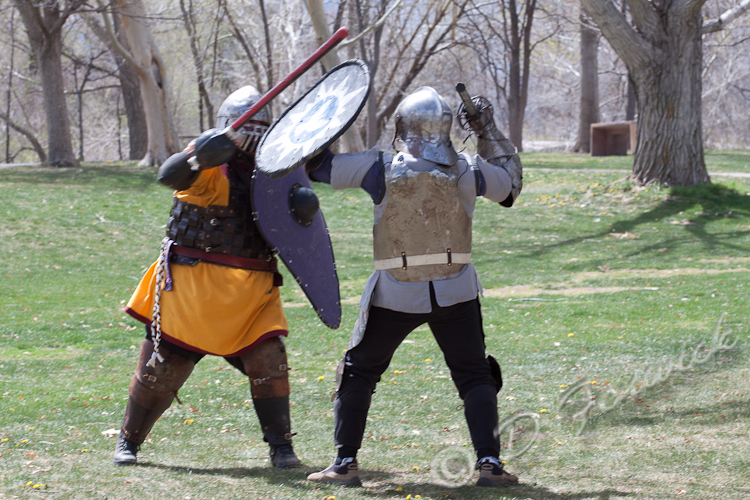 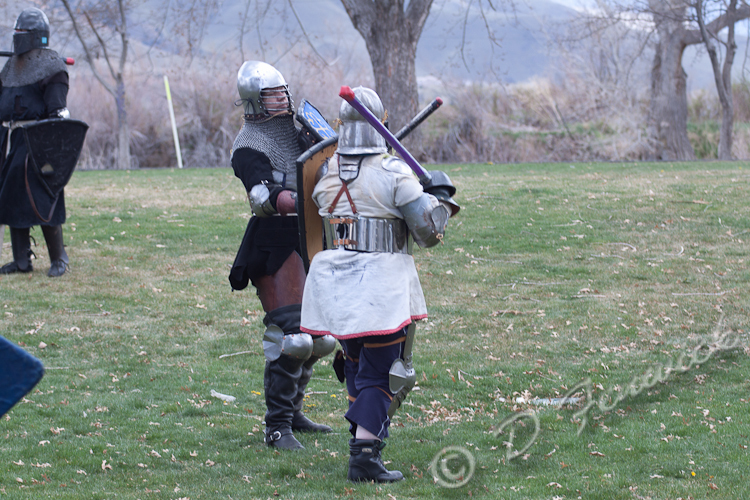 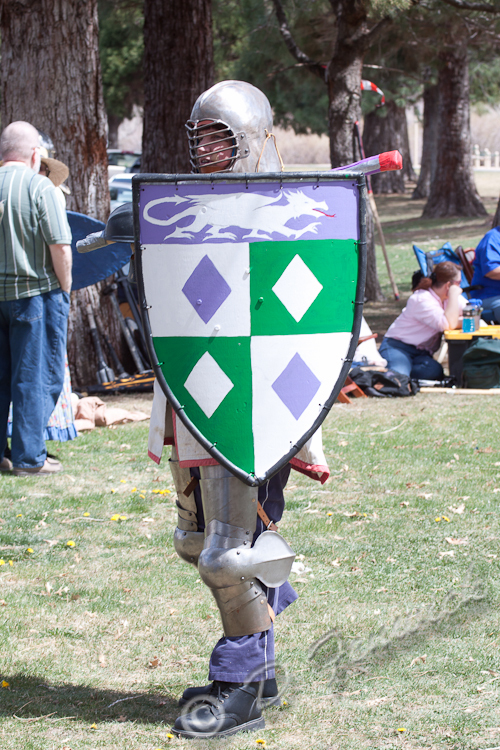 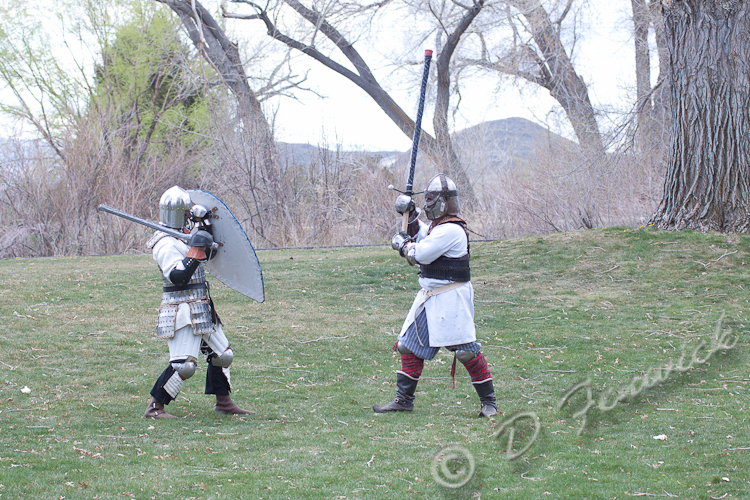 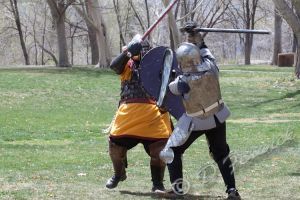 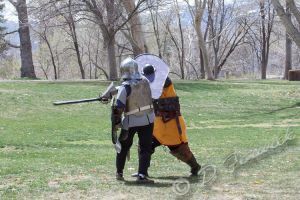 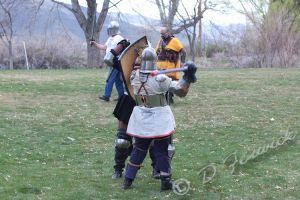 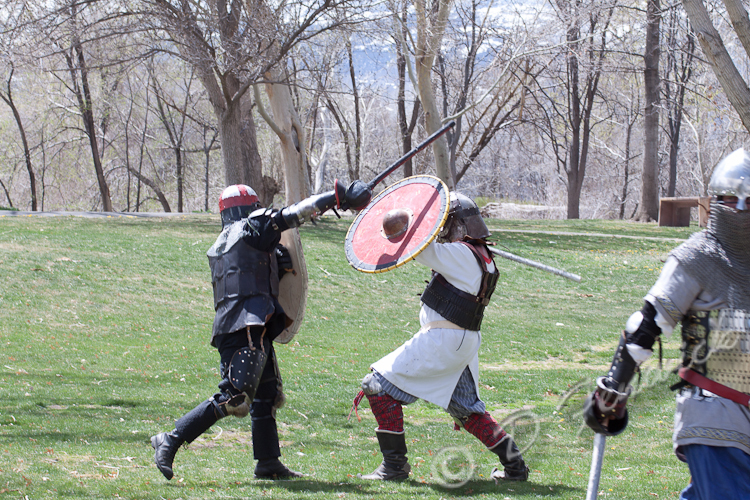 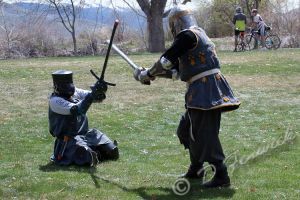 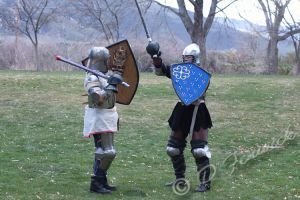 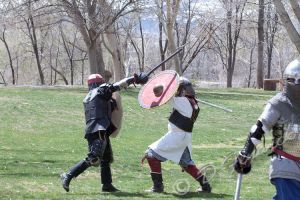 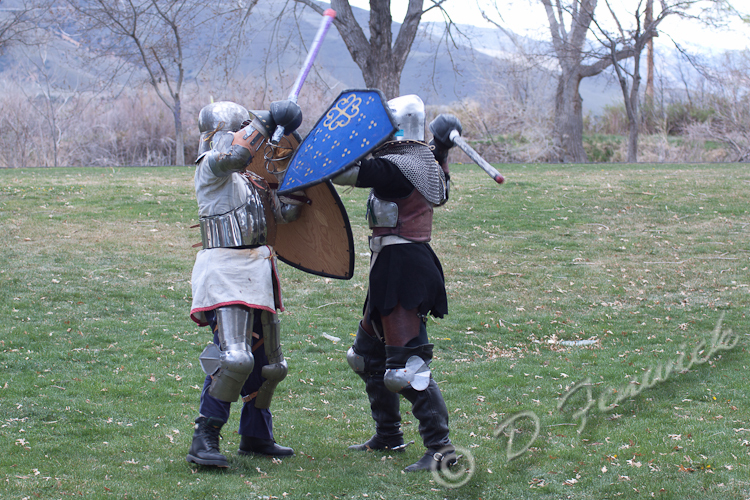 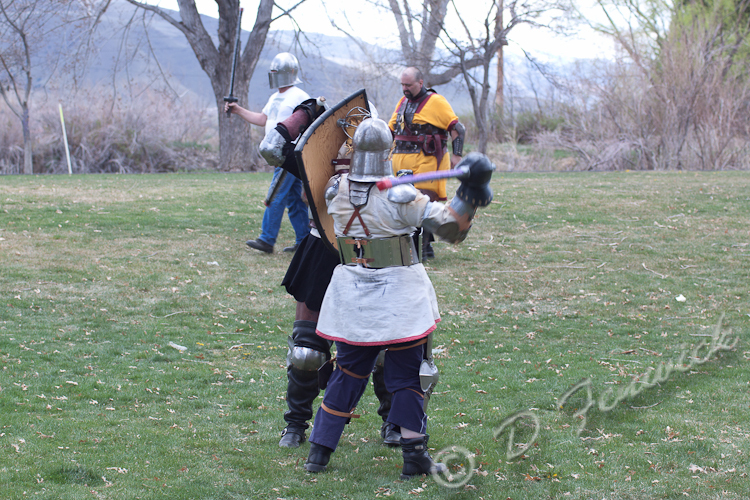 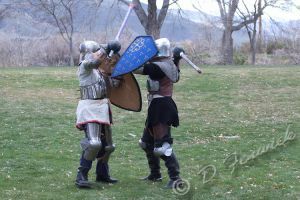 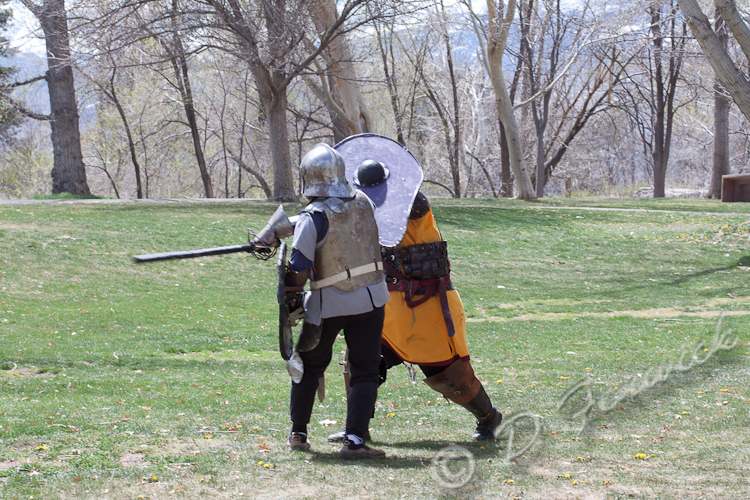 There was also a large SCA fighter practice in Reno on the 17th of April. 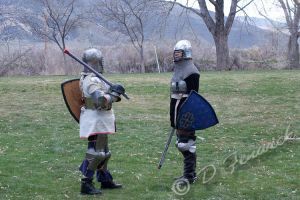 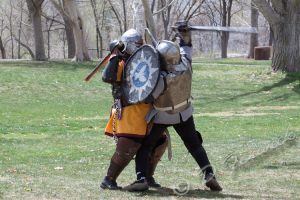 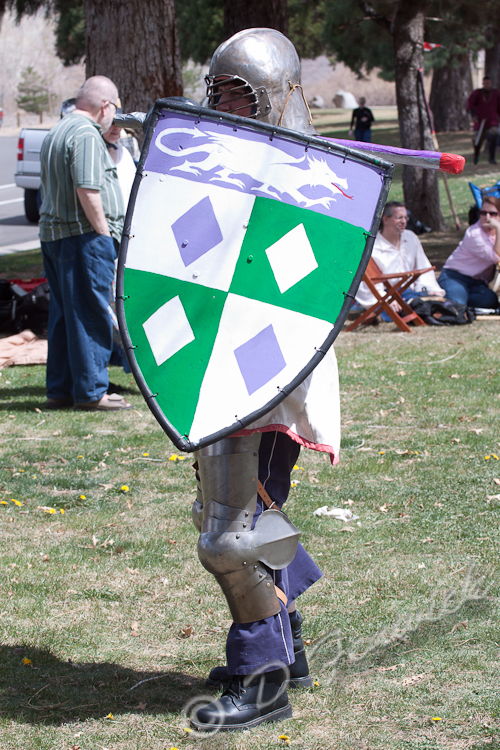 The Knights Errant came up and practiced with the local group, the Province of the Silver Desert. I went and took some pictures there. 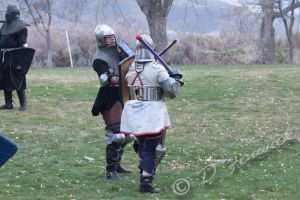 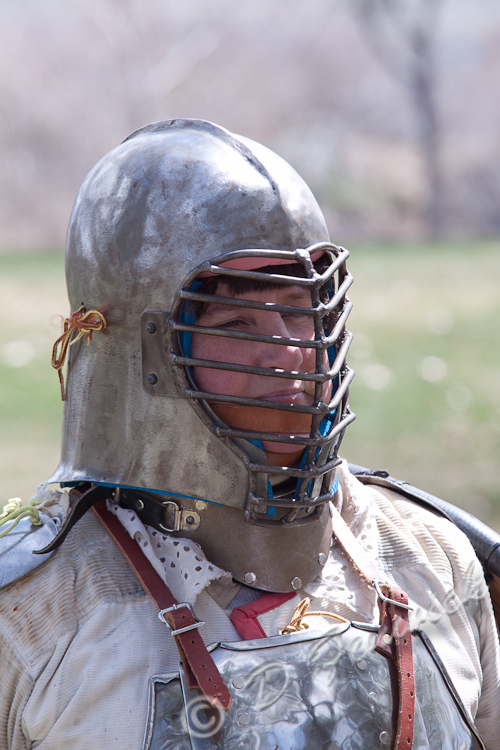 I couldn’t get into armor and fight, but I had a good time anyway. 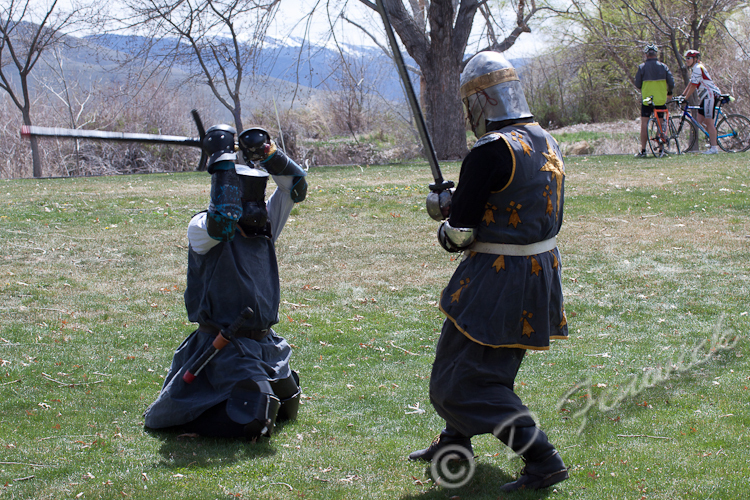 That should give plenty of photos for you to enjoy for this post. 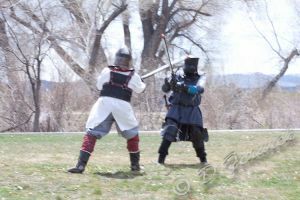 Check out the links too, you might find reason to find similar activities in your area.